TREND:POLKA DOTS FILL MY EYES- RED CARPET TO EVERYDAY WEAR! And I know why.. from red carpet gowns to jeans skirts and a t-shirt this trend is fun and flirty. I had a polka dot tank that I wore to death last summer, it went with shorts, cropped jeans for the day and at night I paired it with a tight skirt. I never felt under dressed because it exuded a relaxed flirtatiousness that's a must for summer. That's why am going to add more polka dots to my wardrobe this season. 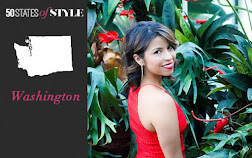 Here are some inspiring looks and must have pieces! 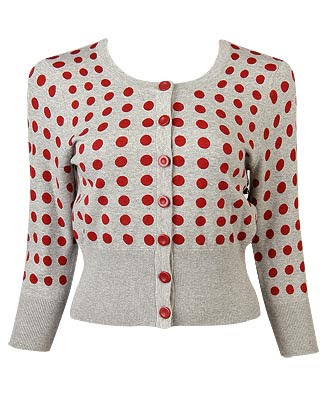 Do you wear polka dots? I don't really like polka dots. They're not flattering on anyone besides Cameron Diaz, but then again, what isn't flattering on her? I try to avoid their adorable temptation to avoid unflattering pictures that will inevitably surface on Facebook. I know everything looks great on Cameron! Ah the FB dilemma.. lol! I really think it depends on the size of the dot and in the way you wear it. 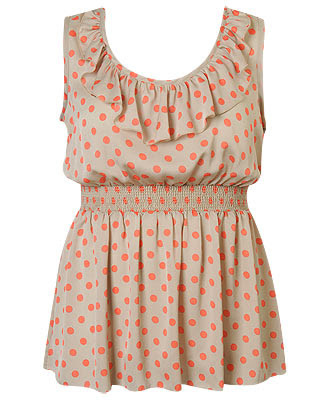 A long tank looks great, but I know that a baby doll dress isn't the best for me polka dots or not. But you need to feel good in your clothes and thats whats most important. I have a polka dot dress. I prefer little dots to large. Love these though. They really are everywhere, aren't they? I especially love the big cartoony polka dots. i think i only have on polka dotted top in my closet. but i agree, polka dot is a staple for summer for sure. 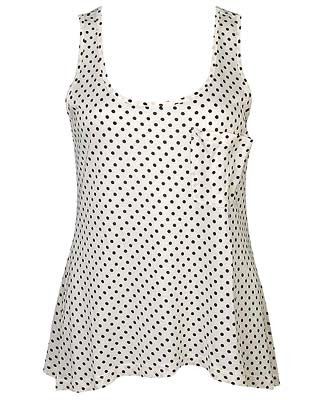 when i think of polka dot i think of fun, flirty and sophisticated as in victoria's dress. I always loved that dress on Chloe - stunning. Lovely! I like the pieces that combine the sweet prints of polka dots with edgier cuts and silhouettes. It balances the look out and makes it really modern, yet sweet.